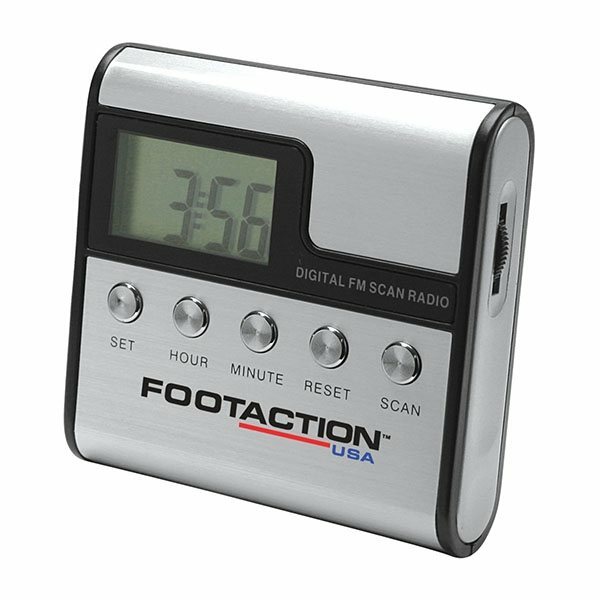 FM scanner clock radio with digital tuning display features a pull out stand for desktop use and a detachable speaker for FM portable use. Includes belt clip and stereo earbuds. It was our choice. Very good quality. With AnyPromo.com I can work on my own time @@even if it's 8:00 at night @@and I don't need a broker to complete the order. 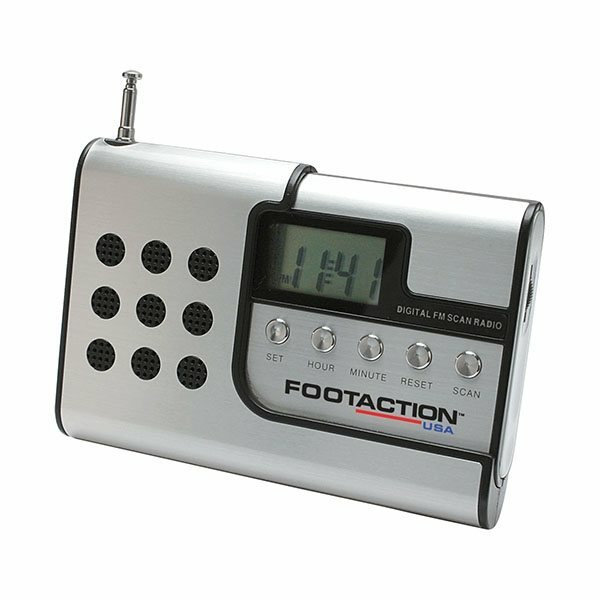 Better product than I was expecting to receive. Our personalization looked very detailed and nice. this is a nice product to buy in large quantities as a corporate gift or graduation gift. We were quite satisfied with the relatively quick turnover. This was a useful giveaway in our conference recently. Shows the name of my company very outstanding.Cool and very eye catching!